Continue Reading "Yuru Camp – 12 (END)"
Remember my name! Chikuwa el Doggo! The pupper who brought down the sun! Continue Reading "Yuru Camp – 11"
If Santa wanted to take the day off, he could always say he put friendship underneath the tree. Continue Reading "Yuru Camp – 10"
Continue Reading "Yuru Camp – 09"
Remember to reload your save file if you buy the wrong expensive camping equipment. Continue Reading "Yuru Camp – 08"
I’m glad they didn’t forget the one camping tradition that us grown-ups know all too well: Getting drunk in the woods. Continue Reading "Yuru Camp – 07"
Continue Reading "Yuru Camp – 06"
The hot springs are dangerous. Continue Reading "Yuru Camp – 05"
Progress on the Sleeping Bag Labo Kit is coming along smoothly! Continue Reading "Yuru Camp – 04"
Cookin’ up dumplings in the hotpot, (pot)! 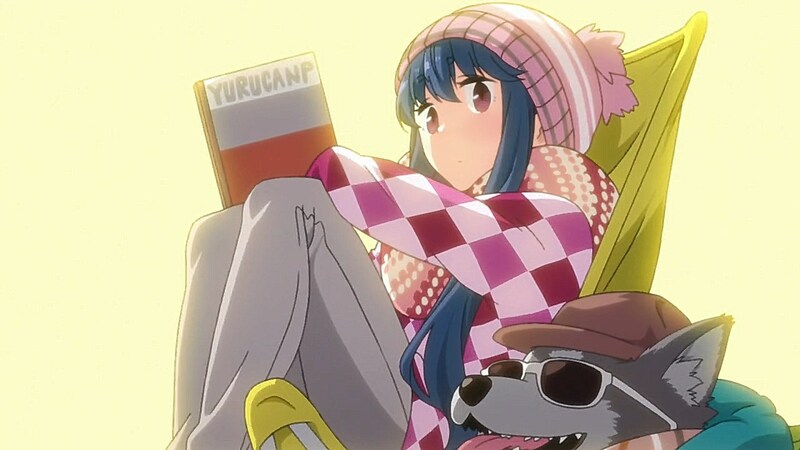 Continue Reading "Yuru Camp – 03"
Continue Reading "Yuru Camp – 02"
When the moon hits that ridge just right, Mt. Fuji sings. Continue Reading "Yuru Camp – 01"